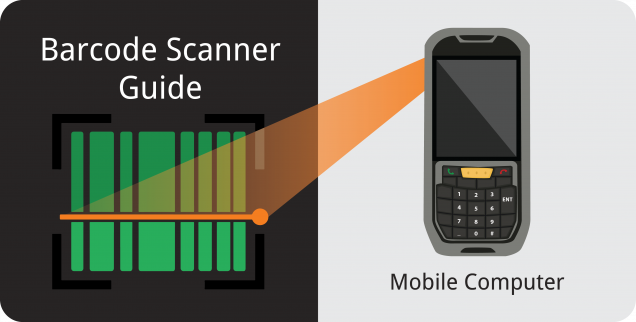 A mobile computer barcode scanner combines the power of a handheld scanner and PC device. These scanners have onboard computers and wirelessly connect to the internet. With similar functions to a smartphone or tablet, they are designed for the purpose of data entry and computing. As a result, they are much more powerful. Mobile computers are also more durable than a smartphone or tablet. For this reason, they are ideal for warehouse or field locations with many items being scanned on a daily basis. Mobile computers can connect to the internet using wifi or cellular data. This ensures that inventory info is always up-to-date. Also. employees will have access to this data no matter where they are. This gives workers the ability to record transactions directly to an inventory system. Whether your company provides off-property services or has large warehouse locations, this scanner allows employees to manage inventory on-the-go. You can purchase and use this scanner in almost any work environment. These scanners are a good option if your employees are out on the field or in rough industrial environments. Plus, there is a wide range of durability within the mobile computer scanner category. Be sure to check the specifications of the scanners durability and the conditions it operates in before you make your purchase. Mobile computers are able to efficiently collect real-time data. Wirelessly connected, they can push and pull information from a cloud-based inventory system at any time. Employees are easily able to view, edit, and adjust data in the system. This allows employees to quickly look up stock locations, make adjustments, place orders, and more. All this is possible straight from their scanning device. One disadvantage that comes with this scanner is the price tag. The cost can range anywhere from $800 – $1,800. Although this may be expensive if you are looking for multiple locations, the benefit pays off in the long run. If you have operations where you’re recording many transactions on a daily basis, mobile computers can greatly help to increase efficiency. Be sure to do your research and complete a thorough cost-benefit analysis before making this investment. Mobile computers are quite portable because of their wireless connection. However, their durable design can be difficult to carry for long hours. Since they can handle rough environments, added protection can add a fair amount of weight. A smartphone sled scanner, less durable but lighter, may be a better option for retail or office work. Mobile computers are a great option for warehouse or field service locations. Their wireless internet connection makes them portable while their durable design protect them. Designed for this purpose, they are able to scan and record quickly and efficiently to get the job done. 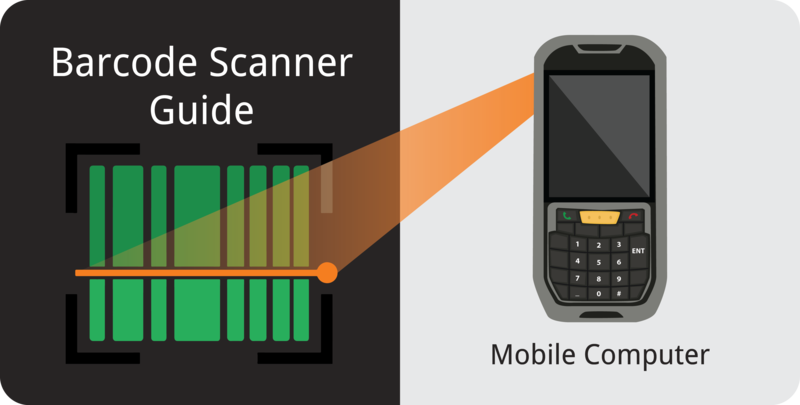 This post was the second in the barcode scanner guide series. Next, you can expect Bluetooth companions and corded scanners. As the blogs are posted I will add the links to each of them to the bottom of this, and future posts.